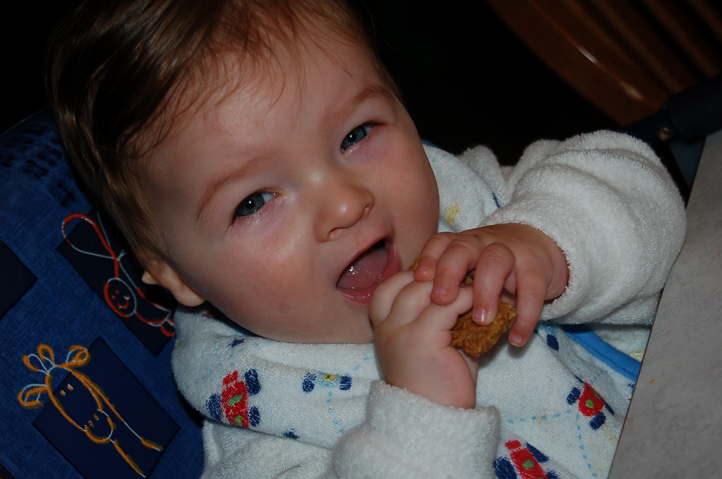 Because of my recent addition to making baby food, I decided to tackle making teething biscuits. I found a few recipes online and tried one. 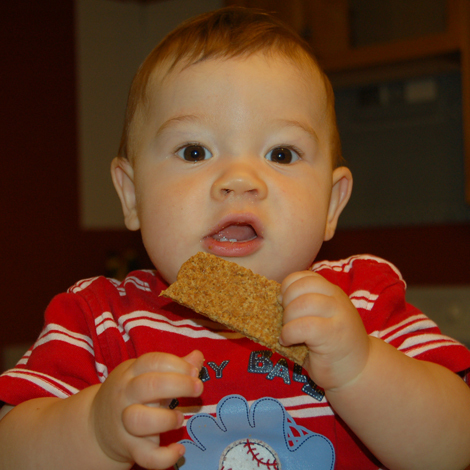 The flavor can be compared to a wheat thin, without any salt. I'm not sure how I like them, I think they break apart too easily, but I did give one to Rachel to try. 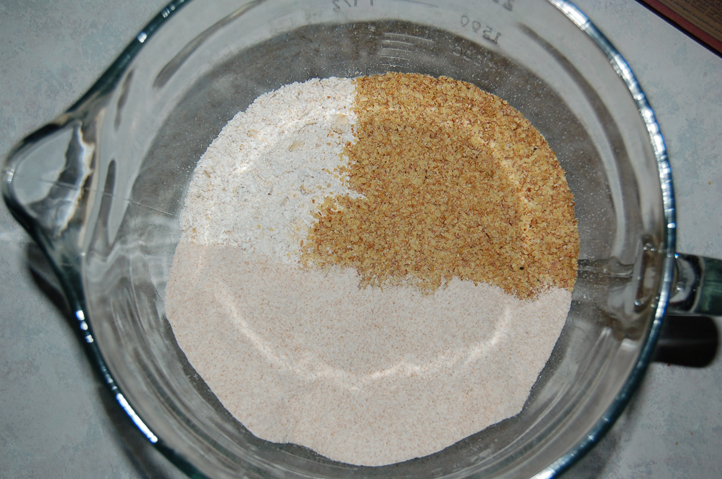 The beginning of the dry ingredients get mixed together! I think the texture was freaking her out the most! It's very "grainy." 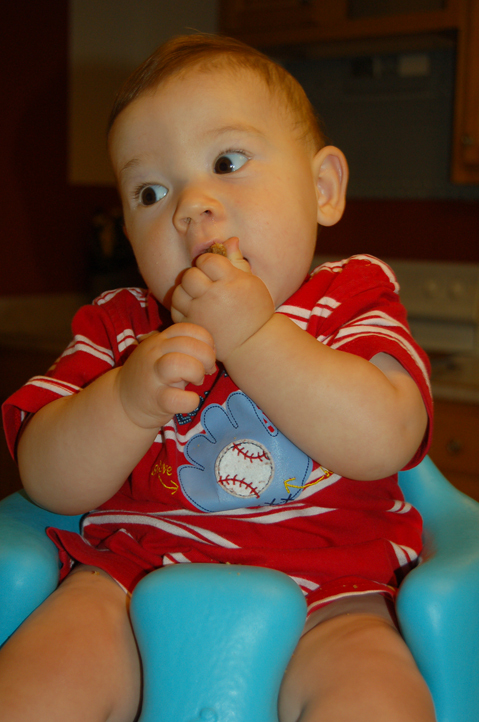 But don't worry, I wasn't discouraged or sad because baby Everett came over and gobbled them up.